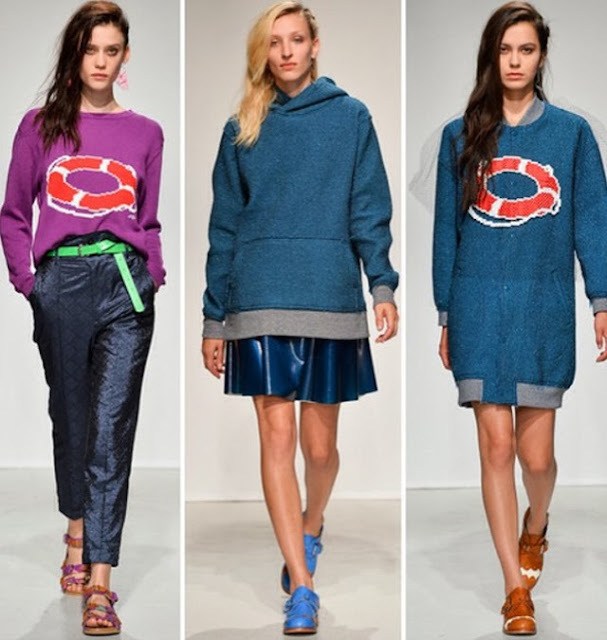 STACY IGEL: Midnight Inspirations: London/Milan/Paris SS'14 Fashion Week Wrap Up! 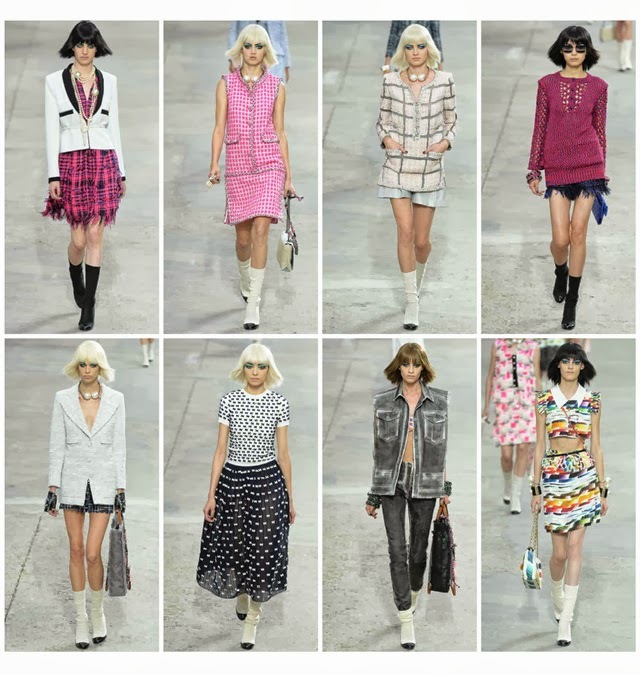 Midnight Inspirations: London/Milan/Paris SS'14 Fashion Week Wrap Up! Definition of a standout: a person or thing of exceptional ability or high quality. The "crew" sweatshirt continues to be a wardrobe staple this season and will be moving forward into Spring 2014 as seen here at Chirstopher Kane. I am big fan pairing your crew with a fancier skirt as it it takes your outfit from day into evening. Effortless Chic. 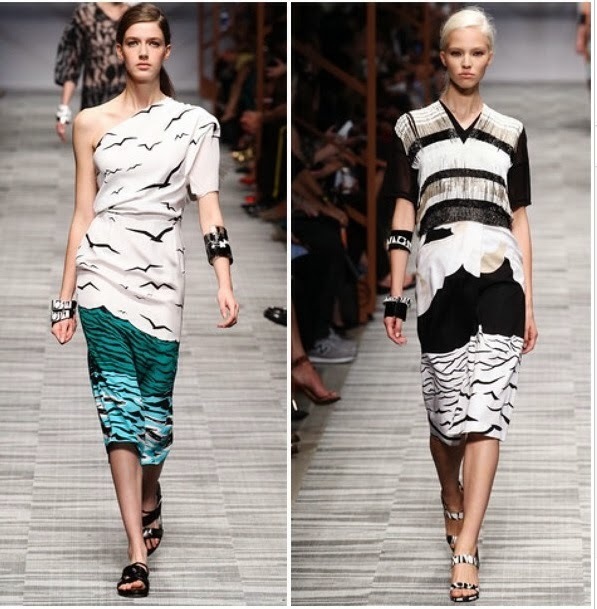 The Classic Missoni Chevron was reinterpreted as waves or birds seen throughout the collection. When I doodle I draw my waves and birds this way similar to when I was a little girl. I also tend to take a lot of photographs of birds, waves and water which you can see all over my instagram. I guarantee you will be joining me this SS'14 rocking some these elements whether in your accessories, shoes or a full dress! Oh Chanel...you had me at Chanel. 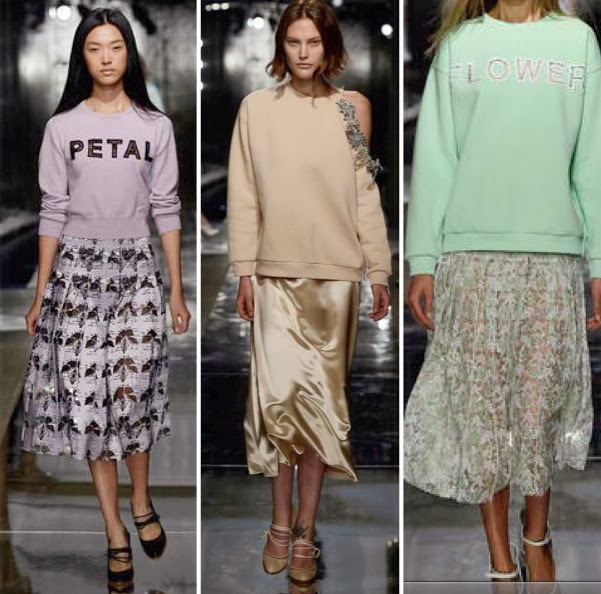 This SS'14 show had a bit of everything I adore! Blazers worn over dresses and skirts, hints of pink, more black and white, emphasis on collars, a hint of crop tops, distressed denim and a spring standout this coming 2014 COLOR! Classic with an Edge. What looks or standouts are you loving for this SS'14 season?